A clean confession, combined with a promise never to commit the sin again, when offered before one who has a right to receive it, is the purest form of repentance. 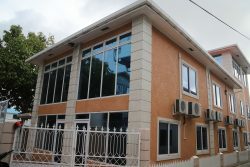 There was a recent letter to the editor in which the writer sought to defend the Minister of State’s actions in the appointment of a Ministerial Advisor on Business and in intervening in the operations of the Guyana Revenue Authority (GRA) in its attempt to seize two luxury vehicles owned by Baishanlin International Inc. 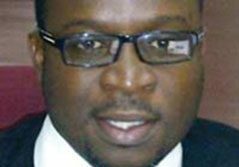 This company has persistently failed to honour the investment agreement it had signed with the Government for the setting up of a wood processing plant Region No. 10. While it is the democratic right of everyone to express his/her views, the letter writer chose to launch a venomous attack on a number of individuals and organisations that spoke out on the above two matters – Christopher Ram (Attorney-at-Law and Chartered Accountant); Ambassador Rawle Lucas (the hands-on Chairman of the GRA); myself; Transparency Institute Guyana Inc.; and the Stabroek News. 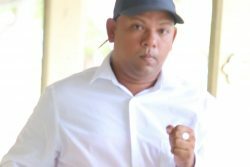 The letter writer is a member of the Institute of Chartered Accountants of Guyana which has By-Laws and Code of Ethics that guide the conduct of its members, especially as regards making pronouncements that are likely to bring a fellow member in public disrepute. Article 117 of the Constitution states that there shall be a Secretary to the Cabinet whose office shall be a public office. Public office is defined as an office of emolument in the public service. On the other hand, by Article 103, Vice-Presidents and other Ministers are appointed by the President from elected members of the National Assembly. It follows that once appointed to a ministerial position, that person cannot also hold the position of Secretary to the Cabinet. It was for this reason that the former Head of the Presidential Secretariat (HPS) was not a Minister, though he was by no means politically neutral. Under the Hoyte presidency, Mr. Cedric Joseph and Dr. Tyrone Ferguson were appointed HPS. Mr. Sherlock Isaacs, Clerk of the Assembly, was also once Deputy Secretary to the Cabinet and from time to time he functioned as Cabinet Secretary. 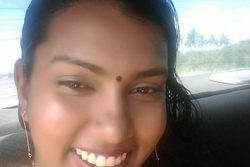 These persons were not known to have identified themselves publicly with any political party in the manner in which the former HPS did. The Minister of State’s portfolio covers the following areas: Ministry of the Presidency, Office of the President, Cabinet Office, Department of Defence, Guyana Defence Force, Joint Intelligence Coordinating Centre, Central Intelligence Committee, Regional Intelligence Committees, Civil Defence Commission, Guyana Lands and Surveys Commission and Lands Registry, Guyana Energy Authority, Department of the Public Service, Personnel Division, Training Division, Department of Citizenship, Registration, Immigration and Naturalisation, General Registrar’s Office, Advisory Body on Sciences and Technology and the Institute of Applied Science and Technology. This is a tall order in comparison with the portfolios of other Ministers, prompting calls for a re-assessment of the areas of responsibility of the Minister with a view to redistributing some of them among other Ministers whose portfolios are directly affected. As a minimum, the Minister should relinquish the position of Cabinet Secretary, and a politically neutral person appointed. We discussed some of the procedures in place for the management and conservation of our forest resources. The Guyana Forestry Commission is responsible for administering the Forests Act 2009. It grants four main types of permits: State Forest Exploratory Permit (SFEP); State Forest Concession; Wood Cutting Lease; and Timber Sales Agreement (TSA). The holder of a SFEP is only allowed to cut and take specified kinds and quantities of forest produce from the exploratory area for testing, research and limited commercial purposes to the extent necessary to recoup no more than the appointed percentage (not exceeding 25%, excluding capital expenditure) of the expenses incurred in the exploratory operations. An SFEP is valid for a maximum of three years, and there is no provision for a renewal. However, while the permit is in force, the holder may apply for a concession in respect of all or part of the exploratory area. The SFEP holder is also required to have a Management Level Forest Inventory and a Forest Management Plan, and to carry out an Environmental and Social Impact Assessment (ESIA). A State Forest Concession is granted if the Commission determines that the applicant: (a) meets the financial and technical requirements in addition to history of compliance; and (b) has good faith intention as well as the competence and resources. The expiry date of a concession is per agreement or for 40 years whichever is earlier. There is provision for the renewal only if the holder does not default in the earlier agreement. A large concession is only granted if the applicant is the holder of an exploratory permit; or if the applicant has satisfied compliance and other requirements to carry out forest conservation operations in the area concerned. A key requirement is for there to be in place a forest management plan of at least five years’ duration as well as an annual operations plan, approved by the Commission. Unlike other tropical producing countries, there are no restrictions on the export of logs. The Commission did introduce a phased increase in export commission for logs in the hope of reducing such exports and encouraging downstream processing in order to maximize the use of Guyana’s forest produce for the benefit of its economy in terms of revenue generation through the export of finished products as well as job creation. Despite this, log exports in 2014 increased by 75% compared with 2013. A State Forest Authorization cannot be granted to two or more persons associated together in a joint venture unless each of them qualifies under the Act for such an authorization. In addition, except with the written prior consent of the Commission, the holder of such an authorization cannot engage or be involved in any act that results or is likely to result in a change of effective control, including a sub-contracting or sub-letting arrangement. If this happens, the holder has to give written notice to the Commission and surrender the authorization. Any such transfer, sub-contracting or sub-letting arrangement is void, and the authorization is deemed revoked. In 2009, the Governments of Guyana and Norway entered into an agreement whereby Guyana would benefit from payments up to US$250 million through 2015 to limit deforestation degradation rates as well as greenhouse gas emissions. Payments were to be made based independent verifications of performance mainly in relation to a number of indicators against benchmarks set. As at the end of 2015, Guyana has received US$190 million in payments based on the verification reports. The shortfall was mainly due to the aborted Amaila Falls Hydro Project which Norway had supported as well as the delay in application for membership to the Extractive Industries Transparency Initiative (EITI). An application was to have been made in June 2015 but the date was revised to June 2016. According to the Director of Norway’s International Climate and Forest Initiative, there were no discussions to extend the partnership. Norway would like the Government to come up with an alternative plan for renewable energy. As at the end of 2015, discussions were on-going following the Conference of Parties’ meeting of the United Nations Framework Convention on Climate Change (UNFCCC) in Paris. Note: Year 2011 Assessment covered a period of 15 months and Benchmark relates to 12 month periods. This specifically relates to Indicators 3 and 4 where the annual benchmark was not exceeded. 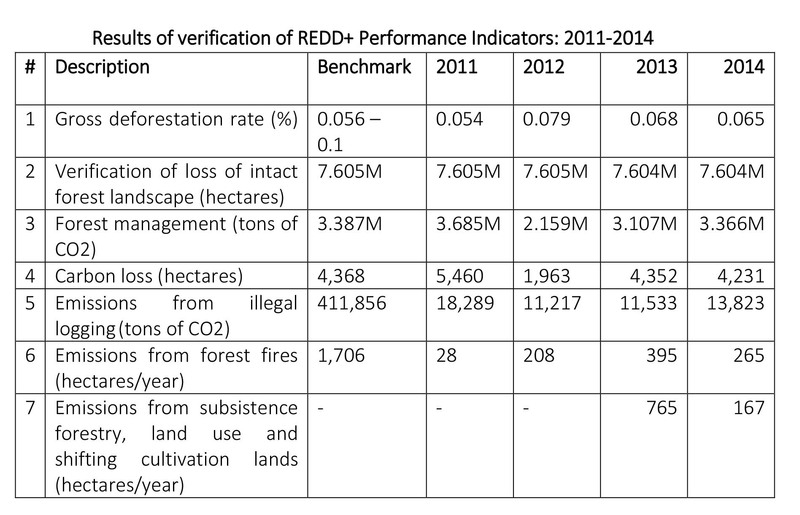 As can be noted, with a gross deforestation rate of 0.065% in 2014, Guyana was well within the range of 0.056 – 0.1%. 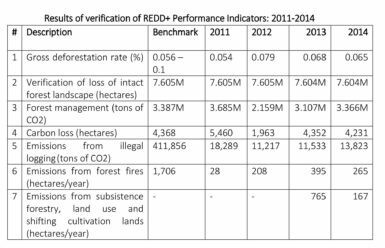 The loss of intact forest was mainly due to mining activities while emisions from illegal forest logging continued to be a source of concern. In 2012, after consultations with key stakeholders, a policy decision was taken to enter into formal negotiations with the European Union on a Forest Enforcement Governance and Trade Voluntary Partnership Agreement (EU FLEGT VPA). The objective is to provide “a forest legality framework supporting sustainable forest management and trade, whilst improving Guyana’s access to international markets”. Approval of funds for various aspects of support to stakeholders under the DFID Grant Funding Mechanism. As the bad thoughts and bad works are ready to spring upon you like tigers, so also there is the inspiring hope that the good thoughts and good deeds are ready with the power of a hundred thousand angels to defend you always and forever.